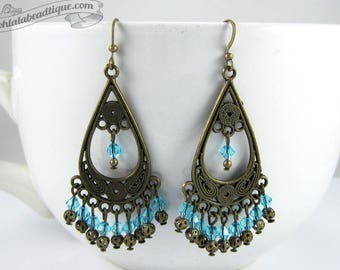 Complement your outfit with these Turquoise Chandelier Earrings. 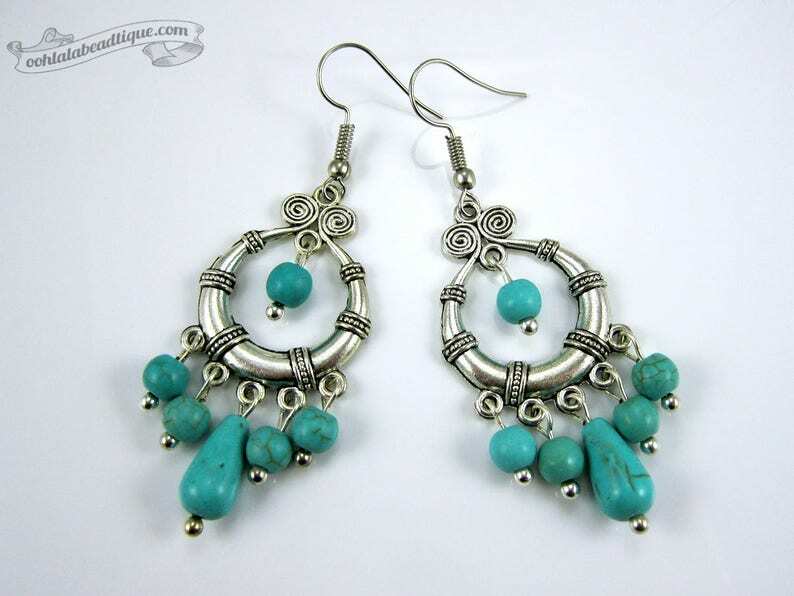 Turquoise Chandelier Earrings are approximately 2.75 inches long including the hooks. Your Turquoise Chandelier Earrings will be shipped to you in a padded mailing envelope.